Like all Filipinos and our fellow Asians from Hongkong and China, we lament and mourn the loss of lives of the ex-police officer-hostage-taker and eight of his victims, all of them Hongkong Chinese. 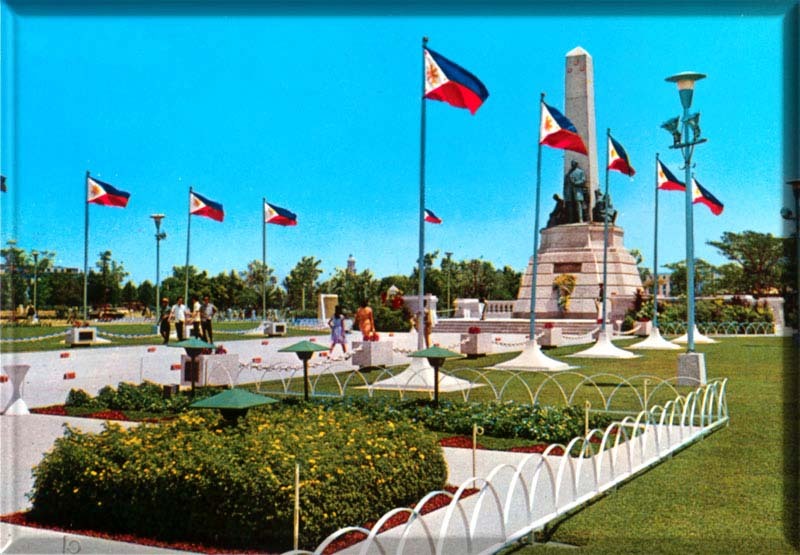 But alas, the bloody shooting at the Luneta will also victimize our growing tourism. The Hongkong government has issued a “top-level black travel alert” to its citizens, which means no travel to the Philippines for the moment. But obviously this reaction will not be limited to HongKong; China and perhaps the rest of the world would be wary of the security situation here for some time. Since former Tourism Secretary Roberto Pagdanganan signed a MOA with his Chinese counterpart in September 2004, to mutually promote tourism between our two countries and open a DOT office in Beijing, our Chinese market for tourists has grown by leaps and bounds. In fact the Chinese have become prime targets for tourism the world over because of their rising affluence in recent years. I personally have seen them in various countries over the years, moving around in big groups attired in leather jackets and with cameras slung on their shoulders. In fact, with the long and deep Japanese recession the Chinese have replaced them as the most popular Asian tourist group abroad. I spoke on the phone with Tourism Assistant Secretary Benito Bengzon, Jr., who acts as DOT spokesperson in the hostage crisis, and he pointed out that China is now our 4th largest tourism market, with around 170,000 tourists last year, as per the 2009 figures, while Hongkong, our 6th market, sent in last year about 122,000 tourists --- and the figures keep growing. Bengzon sighed when queried about how much damage control DOT would do in this crisis, but he stressed that President Noynoy designated DOT as the lead agency in coordinating with Hongkong authorities, who arrived on a chartered flight yesterday morning. Bengzon said that DOT’s main concern at the moment is to see to it that the tourist victims are taken care of and comfortable and their families are assisted in every way (of the 21 foreign tourists, ten have survived and three injured, while eight perished). What happened at the Luneta could happen anywhere in the world, but the problem is that our global world has become so small. Because the Luneta episode was carried by international TV networks, it was viewed yesterday by millions around the world and the memory of the horror of that carnage is bound to stick for some time. I remember that when we were in Egypt a few years ago, once we got to to Luxor, we immediately recalled the deadly terrorist attack on a busload of European tourists a few years before. Our tourism people will just have to work doubly hard to erase the picture of instability and lack of security if foreigners in our country. A debate is raging in the media about whether the police acted too precipitately in handling the hostage-taking. Some quarters now assert that it was the hauling of the hostage-taker’s brother into the police van which triggered the violent reaction from the hostage-taker, who was in close communication with his family and apparently cared so much for his brother. It’s always easy to do Monday-morning quarter-backing after a violent episode and blame the police authorities who are trying to enforce law and order. But in the Luneta incident there appears to be some ground for this accusation. Why haul the SPO-brother at that time when police action against him could have been delayed without serious repercussions (the police knows the man’s whereabouts anyway). The police could have striven first to buy time and prolong the negotiations with the hostage-taker. Instead, they seemed so obsessed with applying the full force of the law against his brother at the wrong moment---forcing the hostage-taker to flip. There was also a lot of bungling by the police and some media, notably Erwin Tulfo, kept stressing that it was short of vital equipment such as powerful cutters of the shatter-proof bus windows, and even tear gas canisters were not readily available (was it because there have been no mass actions and demos in recent times?). Our authorities just have to constantly undertake training in counter-terrorism, including hostage-taking, for our police and armed forces. Last Saturday, Aug. 21, my husband's cold and coughs took a turn for the worse so I decided to take him to the hospital for a check-up. His cough, which had bothered him in the past ten days, appeared to have greatly deteriorated because he had been busy the whole of last week attending to winding up his term at the SSS and moving out his personal effects in his office in preparation for its turn- over of his office to his new successor, Johnny Santos, former Trade Secretary and former president of Nestle Philippines. At Medical City one of his urologists took one look and immediately ordered his confinement for pneumonia, as the doctor feared it could be further affect my husband's immune system that has been complicated by his cancer. I was shocked at the condition of the hospital’s emergency unit: it was so packed with masked patients, most of them howling with cough. Many already lay in emergency beds in the corridors, but more patients were being disgorged by vehicle after vehicle. All the doctors and attendants were harassed. It looked like one of those field hospital units one sees only in movies about the American civil war or something. We stayed in the emergency for several hours, with my husband on a nebulizer, and were able to get a room only after 10 pm. I queried the staffer who was directing the patients to diagnosing doctors’ desks why the avalanche. For one thing, it’s flu season (note that new Justice Secretary Leila de Lima is also down with pneumonia). So many children were afflicted with dengue too. But he also explained that all the doctors' clinics, which occupy the 19 floors of the hospital, were closed as it was a holiday, so everyone flocked to the emergency. I imagine that the other hospitals had the same dilemma last Saturday. So what’s a rational way to handle such emergencies? Some people suggested that the hospitals should leave allowance for illness or disaster seasons and perhaps rotate doctors’ vacations to make sure that not all the clinics are closed. But then, someone argued that the doctors, like everyone else, want to get away during holidays. I hope the Hospital Association of the Philippines and the Philippine Medical Association could take up this point. Earlier I mentioned former Tourism Secretary Roberto Pagdanganan’s negotiation with the Chinese government to open a tourism foothold in economically burgeoning China in September 2004. During our conversation Obet also pointed out that he’s running in a special election scheduled this Oct. 2 in Bulacan’s First District. In the tail-end of the recent campaign season he was declared winner of his two-year electoral protest in the 2007 gubernatorial fight against Gov. JonJon Mendoza, but apparently the Comelec had no time to resolve other related issues. But even as he won his gubernatorial protest, in last May's elections Obet also declared his candidacy for congressman for the First District against former Rep. Marivic Alvarado. But last February the Supreme Court ordered a re-scheduling of that contest to this October. The reason was that last year’s law creating Malolos as a separate lone congressional district was declared by the High Court as unconstitutional, as that city failed to meet all the cityhood requirements. Thus, Malolos reverted to the First District and the October 2 special election will involve it and the district’s five towns.